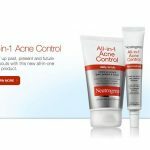 Contrary to what many believe, you can have clogged pores and yet not have acne. 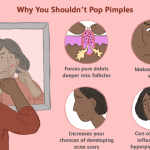 However, if you have acne it is quite possible that you have clogged pores. Clogged pores form as a result blockage from accumulation of oil, dead skin cells and dirt. 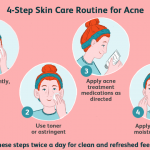 Alternatively, acne forms as a result of accumulation of the same factors that lead to clogged pores but in addition to that, there exists a bacterial infection hence setting the two skin conditions apart. 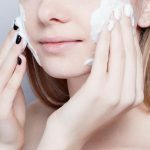 Numerous skin issues can emerge from having clogged pores. 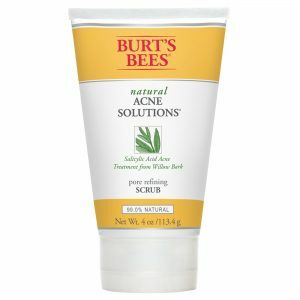 Read on to find out more about acne and how Burt’s Bees Pore Refining Scrub can help you treat clogged pores. A product designed to guarantee gentle protection against a variety of skin problems. Burt’s bees pore refining scrub is made from natural ingredients that cleanse and simultaneously moisturize your skin. Of the many wonderful features, this scrub has these two stand out. Why you ask? Well, the most prevalent of these conditions includes blackheads and whiteheads. Clogged pores are to blame for the existence of blackheads and whiteheads on top of the skin. These are skin problems caused by blockage inside the pores consists of sebum, dead skin cells and dirt inside the pores. Burt’s Bees Pore Refining Scrub comes in to swiftly salvage this dire situation by not only cleansing your skin of all impurities but leaves your skin moisturized for a refreshed, soft feel. Setting this scrub apart from the rest is yet another convenient feature. Salicylic acid is a chemical fluid derived from specific plants. Of its common benefits is that is acts as a fungicide and as an exfoliant to clear dead skin from the face. With clogged pores, it is crucial that you exfoliate regularly in order to keep your pores clean and acne at bay. Burt’s bees pore refining scrub is an amazing product that works amazing to get you the results you are looking for. With Burt’s bees, you do not need to separately purchase Salicylic acid. Burt’s Bees Pore Refining Scrub is infused with salicylic acid for a complete formulation to get rid of blackheads and whiteheads. All your exfoliation needs sorted in just one tube giving you convenience and most importantly, a clog-free, bright, clear face. When exfoliating it is advisable to only apply the necessary amount of pressure to remove the whiteheads or blackheads. Using your fingertips, make slow round movements while rubbing the scrub on the surface of your skin. Rubbing too hard may leave your skin red or inflamed. Skin experts recommend that before you begin using any exfoliating products on your skin, you first begin by steaming. First, boil some water and pour it inside a clean bowl or basin. Take a towel and cover yourself while leaning over the bowl to trap all the steam inside. Don’t get too close to the water as you may risk incurring steam burns. Stay at least 10 inches away from the water. Steam your face for around 10 minutes. 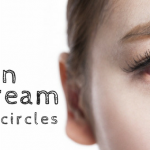 Steaming is meant to loosen the dirt and debris inside your pores in preparation for the next stage of this process. After steaming, the dirt on top of the skin and inside the blackheads has loosened and it’s time to apply Burt’s Bees Pore Refining Scrub and watch your pimples shed one by one. 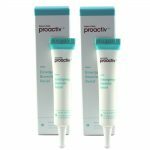 This product not only helps remove the blackheads but also does a great job of closing your pores. The Salicylic acid in this refining scrub has an additional purpose of doing just that. 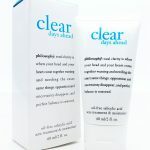 Salicylic acid not only closes the pores but also cleans further and dries up excess sebum. Clean pores mean healthy, smooth, flawless skin. 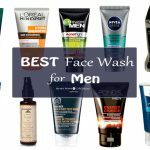 Dirty or blocked pores, on the other hand, lead to pimples, blackheads, papules, whiteheads and in more serious cases cysts. Burt’s Bees Pore Refining Scrub is a facial product that you can depend on without fear of irritating or drying your skin. This product is ideal for all skin types including sensitive skin, dry skin, oily skin, or combination skin. This product is to be used only by itself. 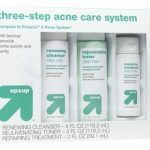 Reports from various users indicate that you may experience skin irritation by combining it with other acne treatments. 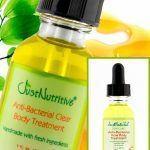 When you see blackheads or whiteheads on your skin it is better to nip it in the bud before you are forced to bear the brunt of a full blown acne breakout. Following the aforementioned procedures is a straight ticket to finally having smooth and shiny skin devoid of bumps, blackheads or whiteheads. 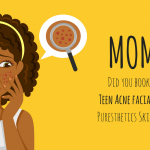 For more information regarding different types of acne, and the best products to use on your face, refer to previous articles.